CHIA’s volunteers work side by side with our Vietnamese staff to provide ongoing guidance and training so the standard of services provided by CHIA is continually improving. CHIA’s volunteers will have a chance to contribute to the organisation through their skills and talent and will gain a holistic understanding of CHIA’s operations by being involved in all aspects and activities to enrich their experience. Most volunteers are pleasantly surprised by the intellectual stimulation of facing professional situations rarely experienced in western environments. Volunteering is not without its frustrations though – with language, cultural and social misunderstandings being common. Whilst volunteers arrive with immense experience and knowledge, learning and development occurs when engaging with local professionals and adapting to local customs. Whilst CHIA is an Australian registered non-government organisation, it operates in Vietnam and it deals with local government, partners and communities on a daily basis. All our volunteers need to be flexible, open-minded and respectful of the beliefs and cultures of this country. This integration enriches volunteers’ experience. The volunteer’s tasks will vary according to the specific projects running. The minimum length of stay for a volunteer is normally three months. This is to allow sufficient time for the volunteer to learn about CHIA’s operations, adjust to the different pace and make the most effective contribution they can. We prefer longer term volunteers who are able to help make a significant contribution to our ability to assess and treat children as well as building the capacity of CHIA staff. As we work in partnership with the Vietnamese Government, the number of volunteers we can accept is limited. 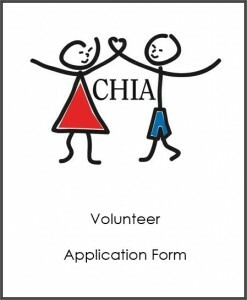 As CHIA is a grassroots organisation, we are not able to provide any financial assistance to volunteers. When you are considering volunteering, please ensure you are able to financially support yourself for the duration of your stay. You should also have appropriate medical and travel insurance in place for the duration of your volunteer appointment. If you are interested in contacting a past volunteer to learn about their experience with CHIA, please email us at hr1@ChildrensHopeInAction.org.